"Hey Patty, I just tagged Clair, we are going to share a cup of coffee and laugh till our bellies hurt (or I leak). God will look down on us and smile. We will then go face the world knowing all is well. Hugs from Iowa, Lynn"
When I read the above the message I exploded in laughter. I know you as the reader are probably wondering why the above message would make me laugh. First I just have to say that the sheer silliness busted through the heaviness I have been enduring the past couple of weeks dealing with a difficult person with a very difficult decision that had to be made. No this is not relative to my marriage. I was surprised with the instant relief I felt after having a good belly laugh. I only wished that it could have happened in person where we could have shared actual hugs and heard each other laugh. We made the best use of online tools that we have to at least be together in spirit which I will explain later. 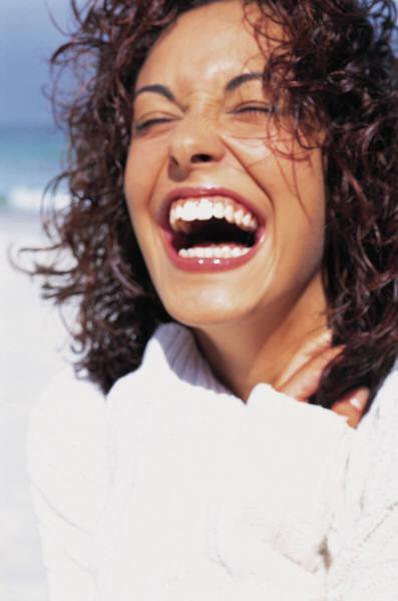 According to Marilyn Meberg of Women of Faith laughter releases endorphins that make us instantly feel better. You know those same endorphins that are released after exercising that gives us a lift? They are the same ones. The invitation above was extended to another person, her screen name NonieMcd, and me having a screen name JoanieinNC. With Nonie and me it is not difficult to know or remember what our real name is but with CoffieeQuilter you just have to remember her real name is Kathy. Well one of us did forget Kathy's real name. Thus started the behind the scenes conversation and an ongoing live in messages for all members to read of each other calling them by a name other than their own. No one else seemed to notice and no one said anything until I came along and asked what is it with Jamie, Jane and Tarzan? Tarzan was a real giveaway that something was happening behind the scenes. I believe what prompted Coffeequilter to extend an invitation was due to my response to her message. In a message Kathy was explaining what a day looked like for her. She raises cows and lives on a farm with her husband. Now let me explain that those cows are Kathy's babies and she is the farmer while her husband's full time job is driving a truck across the states. The sheer busyness of her day working was a reprieve for the heaviness on her heart, her young daughter 40 years old with 5 children was undergoing a Gamma-knife radiation for a brain tumor for the second time that day. Coffeequilter or is it (Jamie, no I think it is Jane), I will keep Rebecca and her family in my prayers. Sounds as though you need to keep hands and mind busy during this season. Thus the above was an invitation for us to share a cup of coffee and laugh until our bellies hurt (or leak). So I sent her a gift icon of a chocolate chip cookie and wrote: Well Tarzan I accept your offer to laugh our bellies off until the tears roll off of our face. I will bring the cookies, oh yes some chocolates too. Will Helen be joining us? I also sent a cookie icon gift to Nonie: Hello Helen, I told Tarzan that I accepted the offer to enjoy a group belly laugh until the tears roll down our faces. I will bring the cookies and chocolates. Hugs from Patty. I hope you have enjoyed my silliness for the day and that it might put a smile on your face. Have you met anyone special along the way of blogland that ended up being a friend that touched your life in a very special way?